STUDENT: €10,- per day / €15,- full conference. Students must present a valid student card. Admission is FREE for HvA STUDENTS & EMPLOYEES who can register directly here. Please show your HvA student/employee card at the registration desk. Location: Trouw, Wibautstraat 127, 1091 GL, Amsterdam. Metro 51, 53 or 54 from Central Station to Wibautstraat (about 9 minutes). 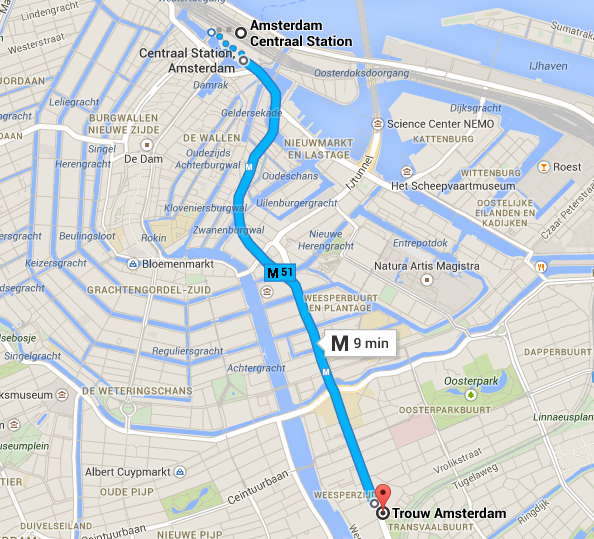 Trouw is located at 1 minute walking from the metro stop.